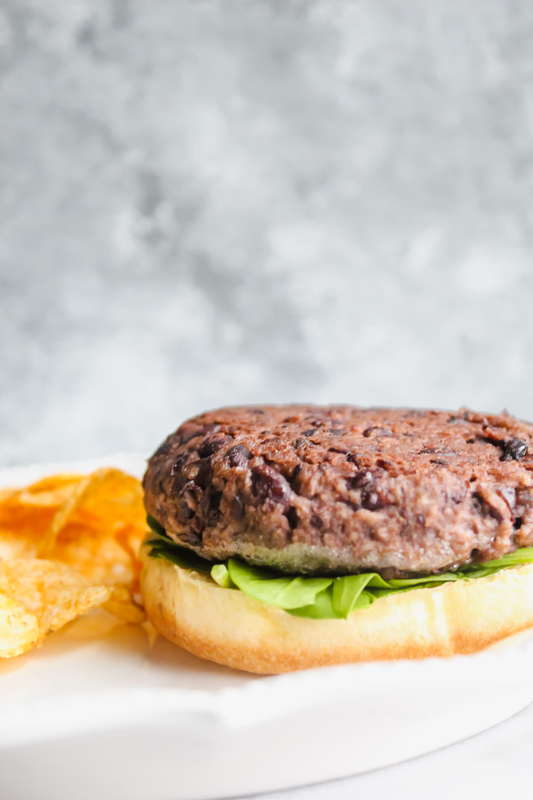 These Easy Black Bean Burgers have a crispy outside, a juicy, flavorful inside and they’re topped with amazing veggies and condiments. Oh, and you can’t forget the fries on the side! These are SO delicious and filled with wholesome ingredients and packed full of protein! This recipe was originally published in December 2017 and has been updated with text and new photos. I want to start off by saying this recipe was adapted from this recipe from the Pioneer Woman. 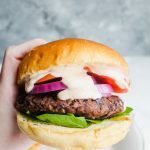 I have been making these for 3 years now – and while I used to follow it word by word, I’ve since made a few adjustments and added in some delicious ingredients of my own! I’ve been watching The Pioneer Woman religiously since it came on TV. 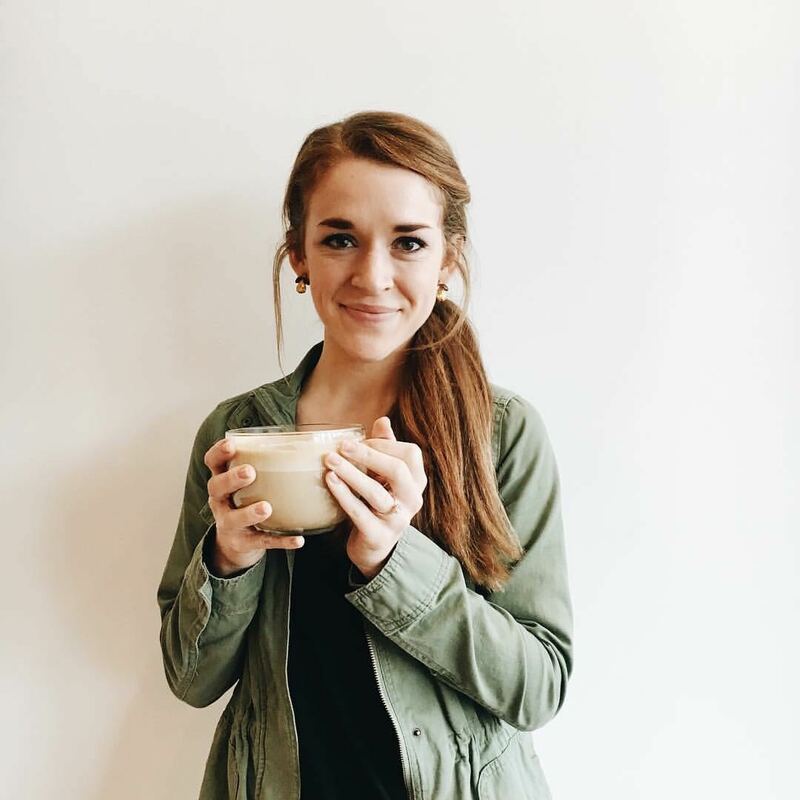 When I found out Ree had a blog, I rejoiced! I really really love her authenticity, the fact that she’s not afraid to speak out about her faith, and her marriage is very awe-inspiring. 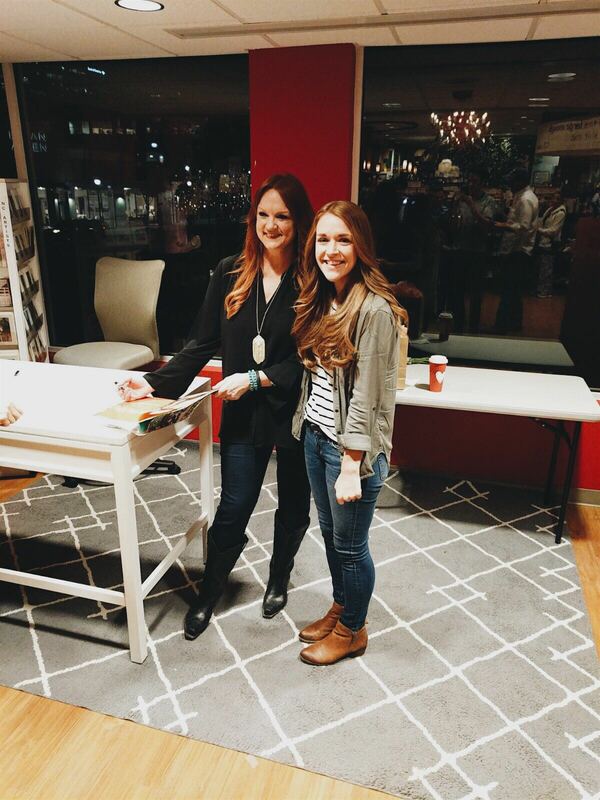 A couple of years ago, when her second to last cookbook came out, I went to go meet her at a book signing. Turns out you needed a ticket to meet her. I saw her through the window but that was it. Talk about a BUMMER. 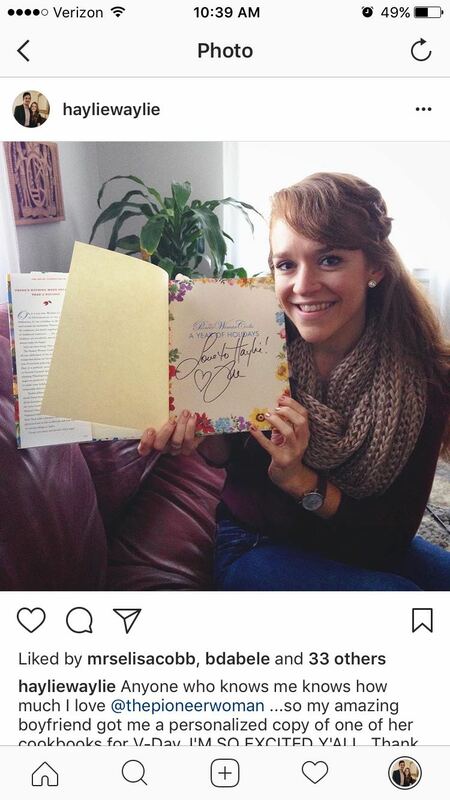 So, that year, Benjamin contacted her people and she sent me a free cookbook signed! How sweet is that?! Also, thank you Lord I don’t have that haircut anymore. Amen. Needless to say, when I found she was coming near me again – you best believed I called the book store and asked WHAT I needed to do to meet her. Turns out, all I had to do was pre-order her cookbook through them! So….the time finally came to meet her. I had people commenting on these photos saying we looked like sisters! HA. I think it’s the hair. Funny story about this recipe – it’s one of the first ones Benjamin and I cooked together. We made them, made a side of delicious homemade fries with herbs and walked to the park right across the street from my apartment. We scarfed them down and then played on the swings. It was a lovely time. Since then, we have been making them at least once a week. I kid you not. They are not only mouthwatering, but COST EFFECTIVE. Seriously, people. The base of this recipe is so simple. Beans. Breadcrumbs. Onion. Egg. From there on, add what you want! In the past, I have added jalapeno into the mixture and I love that version. Extra spicy! We have also done a Southwestern style where I add salsa, cumin and extra cayenne. This is a very customizable recipe. Mix all of your ingredients together and then using your hands, patty them into large burgers like this. Usually, my husband and I make two and then I freeze the other two. They freeze extremely well! These burgers don’t need to chill in the refrigerator or anything like that. They’re ready to go as soon as you have a skillet hot and ready with some butter! And boy do they get crispy! 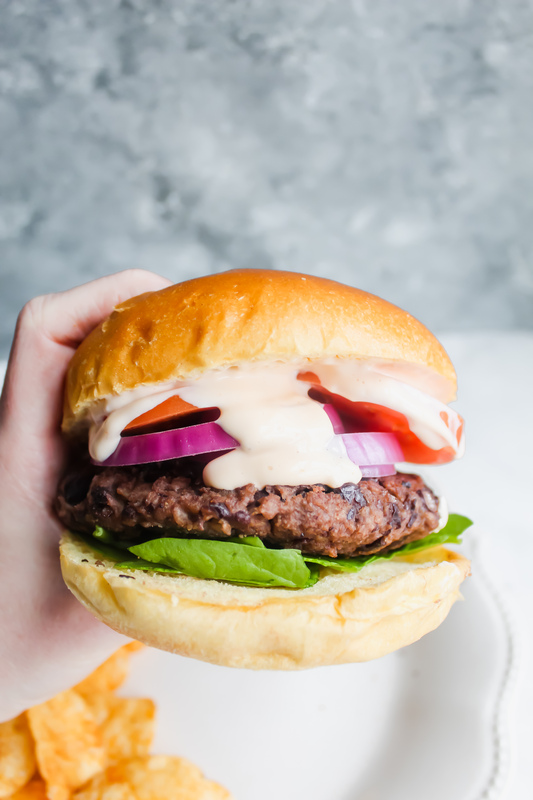 You can’t forget about our favorite fry sauce to smother the burger in! It’s a concotion we created that has mayonnaise, Texas Pete hot sauce and spices. It’s wonderful and will make your taste buds tingle in all the best ways. So, a burger has to have a side. Like, crispy, salty sweet potato fries. That’s what Ben and I always pair our burgers with. I love them. We bake them and then put them on broil just at the last second just to make sure they get that extra crispy crunch. My particular favorite are my Crispy Cajun Sweet Potato Fries. They’re so extra crispy! But if you’re in a rush, chips will do as well. 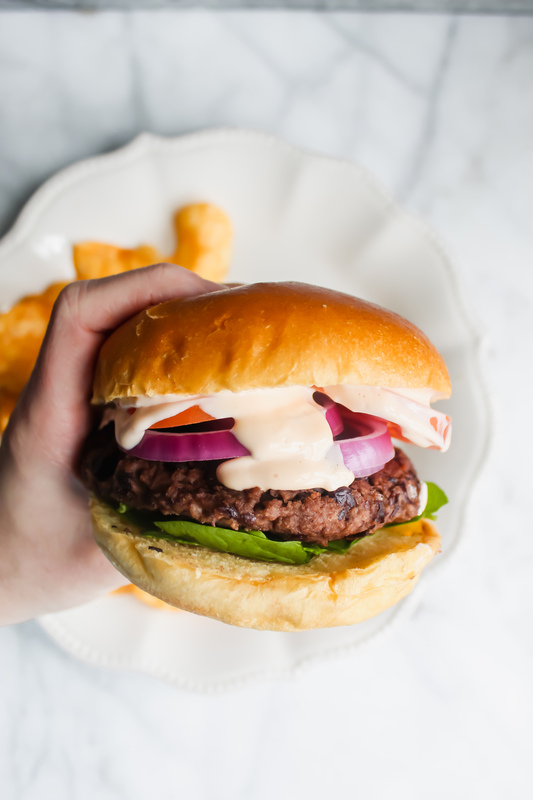 We have added cheese to these burgers before and they’re delicious. You can also add sautéed mushrooms and onion for a cheesesteak type of vibe. Or, my personal favorite, add a fried egg! These burgs are really good wrapped up in a big ole leaf of romaine lettuce. It adds an extra crunch and that leaves me extra room to eat more sweet potato fries. But, for this recipe, we splurged and got the most delicious brioche buns! Not gonna lie, it totally beat out the lettuce. 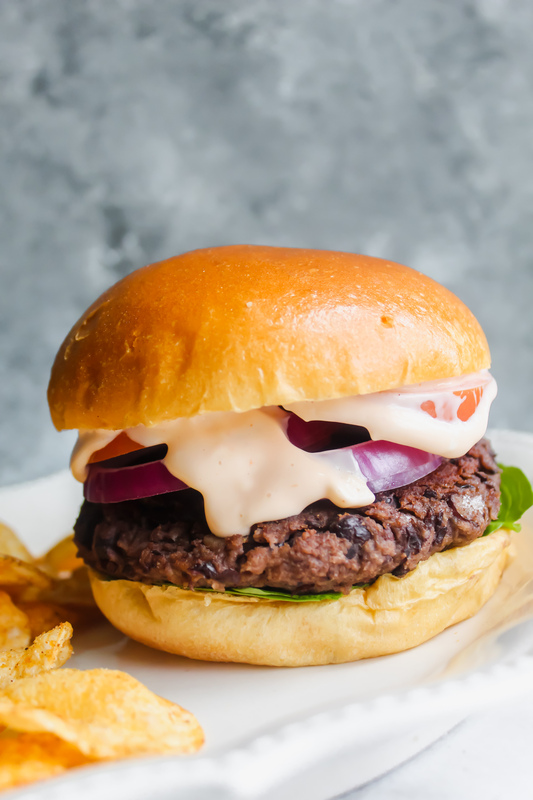 We slathered fry sauce, spinach, fresh red onion all on top of the burger and buns. Smushed them together and it was gone before we knew it. So delicious! Guys, I can’t rave enough about this recipe. Please, do yourselves a favor and just give it a whirl. A delicious wholesome veggie burger that's crispy on the outside and juicy on the inside. Drain your black beans to where they only have a little bit of liquid left coating them. Pour both cans into a large bowl. Mash black beans with a fork or mashing tool until they are mashed with some whole bean pieces left in the mixture. Add in turmeric, salt, pepper, cayenne. Mix well. Taste it to make sure you don't need to add more spice! Finely dice 1/4 of a yellow onion. Add to mixture. Mince 1 clove of garlic. Add to mixture. Add in 1 egg. Stir all ingredients until they are well incorporated! Lastly, add in 1 cup of panko breadcrumbs. Stir until the mixture becomes more dry and you are able to form it into patties. Add a dash or two of hot sauce if you're feeling extra spicy! Divide the mixture in the bowl into fourths. Roll each fourth into a ball and then flatten it out into a patty. Add oil to a skillet. Let the skillet get hot. Add the burgers to the skillet once it is hot and cook them on each side for 4-5 minutes. They should be golden brown and crispy on the outside when they are done! Add 3 tablespoons of mayonnaise to a bowl. Add in several dashes of hot sauce and salt and pepper. Make it as spicy or not spicy as you'd like. IT'S DELICIOUS! Spread fry sauce on both sides of the bun. Add spinach and red onion on one side. Add the burger on the other. Serve immediately with the sweet potato fries and the remaining fry sauce on the side! 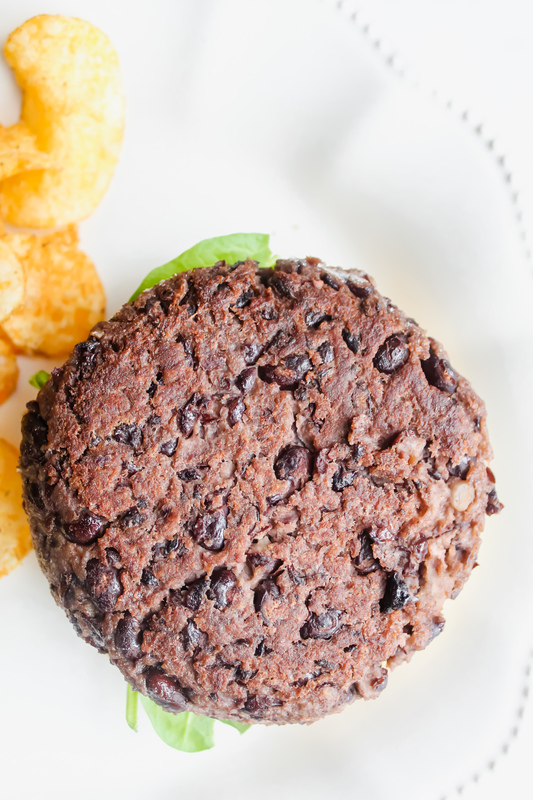 I LOVE black bean burgers!!! I just added this recipe to my Plan to Eat meal plan!!! I’m so excited to try it, and the sweet potato fries look ah-ma-zing! Yay! So happy you’re going to try it out! Ben and I literally eat this at least once a week (we actually ate it last night! Haha) Hope you love it, Michelle! Michelle made these for the family tonight. So so good & outstanding with the sweet potatoe fries. These were so easy and delicious. My husband said that he was fully satisfied without being stuffed. 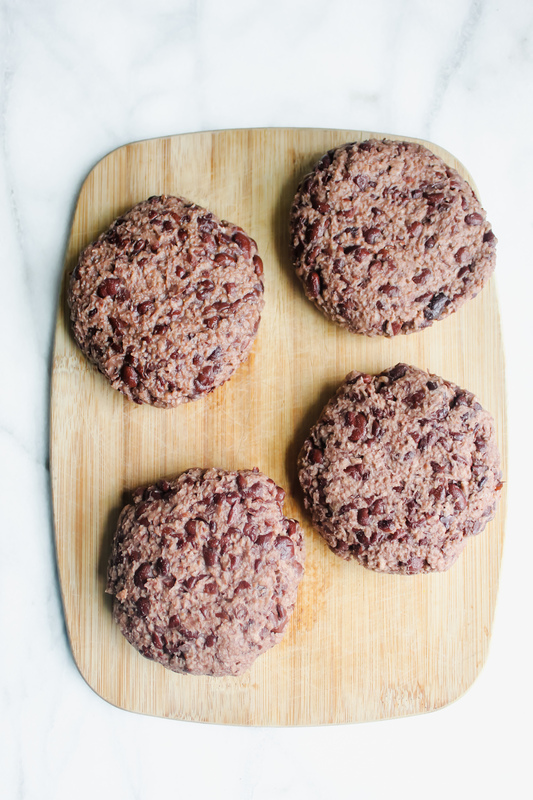 When you want the yum of a burger without the yucky feeling afterward, these are a go to.